Rabbi Zalman Schachter-Shalomi and Eve Ilsen will lead a shabbaton in Ashland, Oregon over the weekend of May 2-4. Kabbalat Shabbat music will be provided by the incredible Chochmat HaLev Band, and prayer leadership from cantors and rabbis from throughout the West Coast. This is an amazing opportunity to fill your soul with the rebbe’s wisdom, and to be part of an ecstatic, inspiring weekend. Sufi Sheikh Ibrahim Baba and world wisdom teacher Jean Houston will join Reb Zalman and Eve on Saturday night for a special panel discussion. 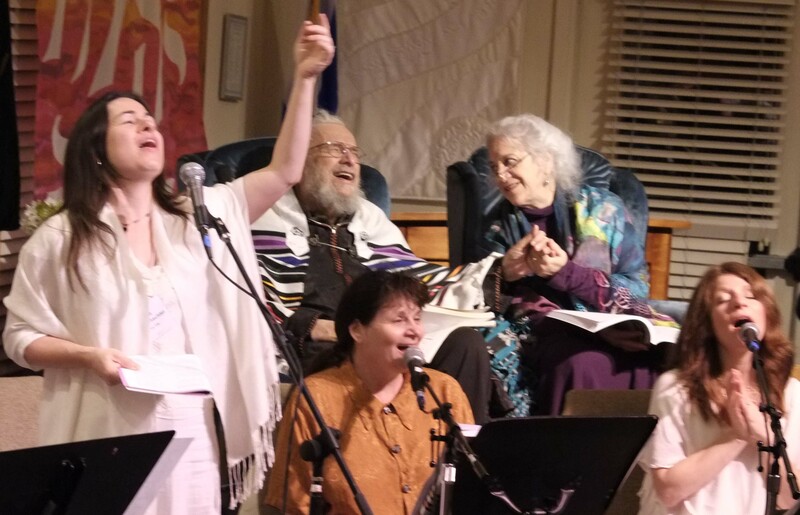 Reb Zalman loves coming here for one reason – there is something magical about the gathering of people from all over who come to this gorgeous small town. It’s something in the air itself. His teachings are incredible and if you have never had the chance to study with Reb Zalman, we’ll provide you with a very special opportunity. Posted in Deep Ecumenism, Reb Zalman, Renewal Communities and tagged Ashland, Chochmat HaLev Band, eve ilsen, Jean Houston, jewish renewal, Rabbi David Zaslow, Rabbi Zalman Schachter-Shalomi, Sheikh Ibrahim Baba. Bookmark the permalink.